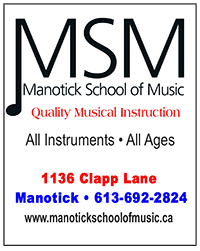 It is with great bloggy enthusiasm that I welcome our newest sponsor, the Manotick School of Music. We’ve had the boys enrolled in lessons at the Manotick School of Music for quite a few years now and I’ve always been pleased with the school and especially the wonderful teachers. Tristan took a couple of years of guitar lessons (one of my favourite blog posts from that era is Five reasons why guitar lessons are better than hockey!) but his interest – and practicing – waned after a couple of years and he’s on a musical hiatus right now. Simon took a year of piano, took a year off, and asked specifically if he could start up lessons again this year. It’s an exciting time for the Manotick School of Music. As of a few months ago, the school is under new management. The owner and director of Manotick’s Musical Thought Studios is taking the school in new directions, and they are offering lessons in piano, guitar, voice, drums, violin, woodwinds and brass. They also offer piano parties, workshops, ensemble quartets and recitals, among other things, and they’re developing a youth musicianship program in the coming months. You can even take lessons on the gorgeous grand piano in the director’s home studio – how awesome is that? 1. We do not risk growing out of this guitar in mid-season. 2. Guitar lessons do not take place at 6 am on a Saturday, or in damp, dank 12C arenas. 3. There is little to no risk of a concussion in guitar lessons. 5. Chicks dig guitar players. It’s a dream of mine to one day have a piano in the house. In the interim, I’ll enjoy Simon thumping out Ode to Joy on our electric keyboard. It never fails to make me smile. He’s having fun AND growing his brain. What’s not to love about that? If you’re interested in music lessons with Musical Thought / Manotick School of Music, you can see the current teacher availability on the Musical Thought website or contact the director at 613-692-2824. Disclosure: the Manotick School of Music and I exchanged services for the purposes of this sponsorship. However, I would have fully endorsed the school and its lessons despite our advertising agreement and we have been a client of the school since 2011. There have been a spate of complaints on some of my sponsored posts over the last few months. I’m not quite sure why people are complaining (mine may be one of the least monetized blogs I know!) or whether it’s several people or one person with several aliases who are posting the complaints. I’ve tried addressing the comments with comments, and then just deleting them, but since they’re continuing, let’s talk about sponsored posts out here in the open. I blog for the connection with you, the reader, and for the joy of sharing a view of our lives as I see it. I blog because I love to do it, and if I weren’t making any sort of profit from it, I would still be blogging in more or less exactly the same way I have been doing for the past eight years. But yes, I write occasional sponsored posts. I have a great working relationship (and a one-year contract) with Fisher-Price, and I just finished a set of sponsored posts with Conceivable Dreams. I chose to work with these two organizations because I like them, because I would promote them even if they weren’t offering compensation, and because I think they offer something that may be of interest to the people who read this blog. On the other hand, I turn down dozens of pitches each week for various promotions that I don’t feel I could personally endorse, or that I don’t think would have any value to you as readers. The negative comments that have sprouted up recently are along the lines of “stop selling out with these sponsored posts.” I don’t see being compensated for my time and effort as selling out, I see it as perfectly reasonable. Aside from the out-of-pocket expenses relating to keeping this blog running (domain and hosting, etc) why shouldn’t I be compensated for my time and effort? Like ads on Google or commercials on your favourite TV shows, the sponsored posts help me keep generating the rest of the content that you might prefer. There was a time when I felt more equivocal about advertising and sponsored posts, and perhaps because of that I have always tried to minimize the amount of sponsored content I post. I am very selective about the advertising and other paid blogging opportunities I accept because whatever I share here on the blog is the equivalent to a personal recommendation, and I don’t take that responsibility lightly. But if an opportunity arises to support a brand or cause that I like, and that opportunity involves monetary or non-monetary compensation, I see absolutely no reason why I shouldn’t take it on. Maybe you have a different opinion? I’m open to your thoughts here, on this post, and I am genuinely happy to discuss the issue. But this is my space and like it or lump it, my rules apply. If I visit your place and I don’t like the new lime green sofa, I’ll just choose to sit on it and keep my mouth shut or sit on another chair – that’s just good manners. You are welcome to not read the sponsored posts, or to not visit at all, if they truly offend you that much. If you have genuine concerns and would like to discuss them, let’s do that – but simply scrawling “stop selling out” on every sponsored post isn’t a conversation, it’s graffiti, and I’ll continue to delete those comments from now on. What do you think, bloggy peeps? It’s not 2006 anymore; blog monetization is the rule rather than the exception for most successful blogs, I think. And I have genuinely tried to be conscious of balancing sponsored and non-sponsored content so the latter largely outweighs the former. Are you perturbed by the sponsored content or do you think it has intrinsic value of its own? Crowdsourcing the bloggy peeps: What should I call my photo biz? I thought maybe the new bloggy banners would scratch my spring-ish itch for re-invention, but no such luck. Now I’m thinking of re-naming the photography business, and I need your help! Back in 2009, I launched an Etsy site to sell some of my photographs as fine art prints. Due partly to inattention and neglect, and probably partly because the prints were never actually as good as I thought they were, nothing never really came of it. Well, except for one thing. 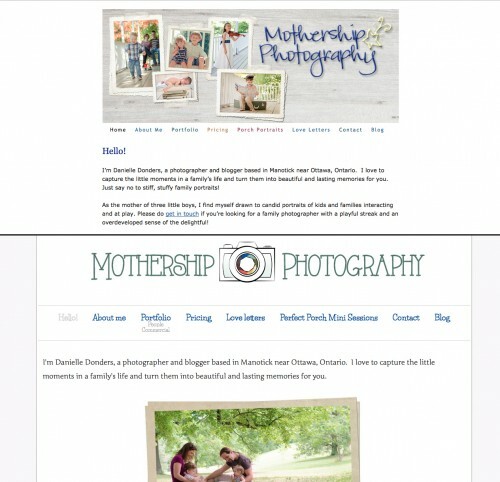 When I was creating the Etsy account on a whim one night, I needed a name, and at the time, Mothership Photography seemed a perfect complement to my online empire (ha!) here on the blog. The fine art business fell by the wayside, but I co-opted the name when I started taking portrait commissions. Since I was aiming at a family community that was largely blog based, and since it harmonized with the blog name, and since google confirmed that nobody else on the internet was using the name, it seemed a good fit. Well, the little photography business grew and grew. I started selling my work commercially through Getty Images and taking commissions outside of the realm of bloggy friends, and last year the gross income crossed the five figure income mark. It’s a full fledged business now! And it looks like another agency will soon be representing some of my images. (Yay! More details on that soon.) And with all this growth in different directions, the name just doesn’t seem to fit anymore. Another thing that I don’t like about the name is how harsh other photographers are on “moms with a camera”. I’m reasonably confident in my own skills, no thanks to other photographers intimating moms like me are an icon of the downfall of modern photography (ahem!) 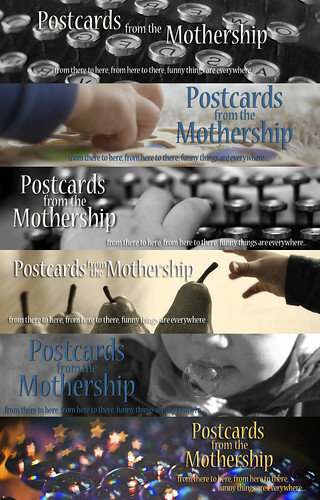 but I do wonder if I am not undermining my own credibility with the somewhat cutesy Mothership Photography label. And so, for the last few months, I’ve been pondering it. Change the name? Embrace the name? I think I’m at a crossroads. If I am going to change it, I’d better do it sooner than later and if not, I have to own it for keeps. The biggest hurdle of all, though, is not brand recognition or marketing but this: what the heck SHOULD I call the photography business? There’s already a DaniGirl Photography on Facebook in Amarillo Texas (4 likes) and one on MySpace with no entries, and a blogspot blog with one post, so that one is more or less available. I could go with the more traditional “Danielle Donders Photography”. Angela cleverly suggested “Donderful Photography”, which makes me smile. And Beloved and I rolled around the floor laughing at the logos and marketing mischief we could develop if I called it “Double D Photography”. The porch portraits are working for me. “Perfect Porch Photography”? Hmmm, maybe I’d only get calls for real estate shoots. Some of my favourite photography concepts are “whimsy” and “serendipity” but those are already pretty much taken. I want something that represents ME, my creativity and sense of fun and play, but is also professional and says more than just “I bought a DSLR and now I’m a photographer”, yanno? What do you think, oh clever bloggy peeps? What IS in a name? 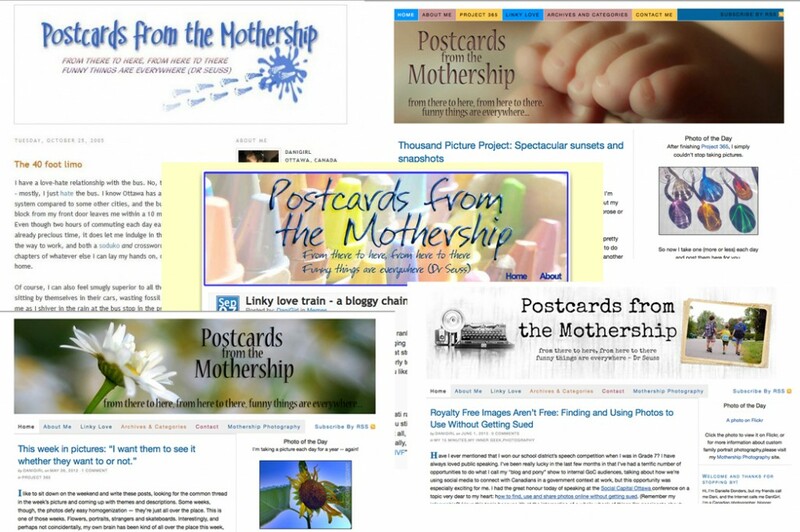 Shall I commit to Mothership Photography once and for all, or do you like one of the other alternatives? Or maybe you’ve got a clever idea to share? Look up ^^^ there – new blog banners! There are eight versions right now, and it should randomly rotate through them as you refresh or click on individual blog posts. I pulled together the typewriter and the camera on the left as a bit of a play on the idea of telling stories in words and pictures, and because a blog banner with my Nikon and MacBook didn’t seem quite so visually appealing. And the photograph at the right is just because I like the idea of a bit of variety in the headers, and I think these pictures offer a bit of a riff on my common bloggy themes of family and play and life in Ottawa. Let me know what you think, I’d love to hear your comments! Crowdsourcing: Recommendations for online backup?